Authorities have set aside an additional $63.76m fund to support public hospitals. Hong Kong’s health workers are nearing the end of their rope as public hospitals continue to get swamped with winter flu cases. Public hospitals are at full occupancy across the territory, and more than 200 overworked doctors have held sit-down protests amidst a severe shortage of nursing staff. The hardest-hit hospitals include Pok Oi Hospital in the New Territories West, where the inpatient bed occupancy rate hit 123% on 28 January. At the bustling Queen Elizabeth Hospital in Kowloon, the bed occupancy rate is as high as 111%. On January 28 alone, official data showed that 6,252 individuals sought hospital assistance, of which 1,052 were admitted as in-patients. With clamour from both doctors and patients alike, the Hong Kong government has earmarked $63.76m (HK$500m) in extra funding for public hospitals as a source of support to implement short term and immediate measures, chief executive Carrie Lam said in a press conference. The unprecedented cash infusion will cover the recruitment of new clerical staff to reduce nurses’ administrative burden, the hiring of part-time medical professionals, and suspension of hospital accreditation to enable the institutions to focus on treating patients. The Hospital Authority has also temporarily increased its overtime pay scheme for public hospital staff by 10% in a bid to attract them to work overtime amidst the outbreak. "This is not just about money, but about improvements in front line administrative work, service quality, as well as equipment,” said Mak Siu-king, president of the Hong Kong Public Doctors’ Association. 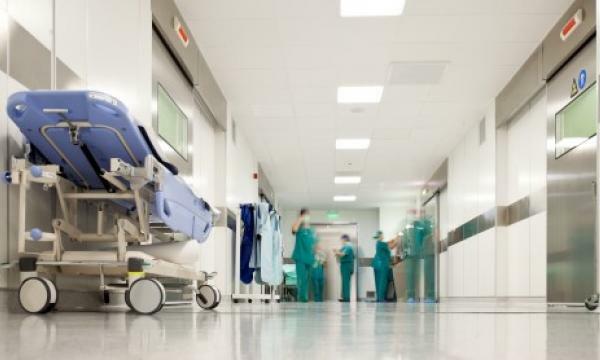 Funding for the Hospital Authority stood at $7.84b (HK$61.5b) in 2018, representing a $770m (HK$6b) increase compared to the previous financial year.